Call center monitoring software can be crucial to a business’s ability to manage a contact center and metric results. However, it is not as easy as just choosing any software and paying for implementation. If you are not careful, or if you do not choose the right software, a failed call center monitoring software can cost your business a lot of money. Call monitoring software generally is used to record calls, manage associate performance, and gather and analyze data from customer interactions. When implemented correctly, it is an invaluable tool in the management of a contact center. Learn about some of the common mistakes made when implementing call center monitoring software in Scottsdale, Phoenix Arizona, and elsewhere- and how you can avoid similar mistakes. Paying for more than you need: So if the largest companies in the world use a particular software, it’s got to be good, right? Not necessarily. 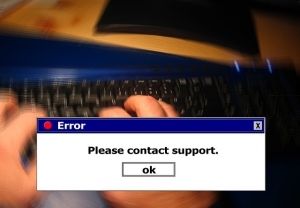 Remember, call center monitoring software should be very specific to your company’s needs. Don’t overspend on a complicated system that isn’t tailored to your business. Look for a program that can be customized for large organizations, small businesses, and other unique attributes that your call center may require. Not focusing on the metrics: Call center monitoring is more than just recording and monitoring calls and chats. To get the most horsepower out of your implementation, make sure that you are getting clear, concise, and actionable data reports. These could include call statistics, associate reviews, and customer satisfaction surveys. Implementing a burdensome system: Make sure you take an up-front look at the resources, costs, and manpower that will be required to keep the system running after implementation. Get clear and written details from your implementation partner on what will be required. It may be smart to outsource this maintenance wherever possible. The experienced and professional team at Evaluate Quality in the Phoenix/Scottsdale AZ area can help you with all of your call center monitoring software needs. You can avoid the typical pitfalls of call center monitoring software implementation by consulting with the experts at Evaluate Quality before you make a final decision. Whether your business operates in Scottsdale, Phoenix AZ, or elsewhere in the United States, Evaluate Quality can help you navigate the successful implementation of call center monitoring software. Founded by Sage Advantage. Take the first step towards improving your call center today- contact Evaluate Quality now and schedule your no obligation demonstration.